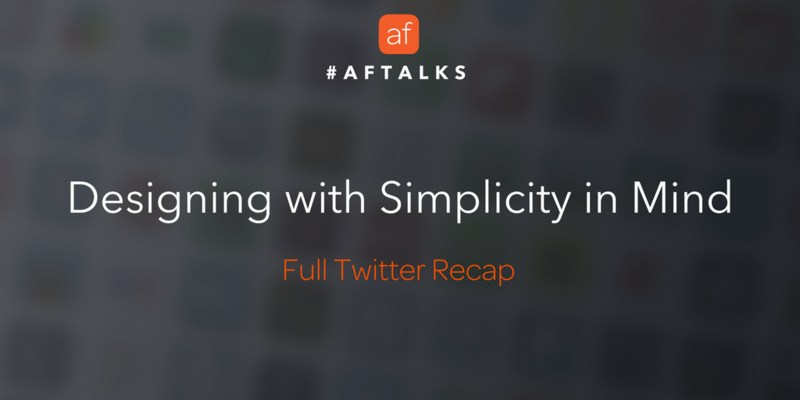 This week we talked about app design! Award winning apps don’t create themselves. It takes time, iterations, and effort to design an experience users will love. This AFtalks focused on what it takes to create a well-designed and successful app. Q1: Where did you get inspiration for your design from? A: Blackbox tries to take design cues from the OS and devices it lives on more than anything, but I often look to motion graphic effects reels, concept UI gifs, as well as physical products—the kind of day-to-day tools and objects that provide us quick glances of information while staying out of your way (speedometers, indicator LEDs, switches, etc). I like designing things that provide information in functional novel ways while providing a bit of delight. Q2: How did you determine the esthetic you would use for your app? A: Blackbox’s puzzles are intended in part to make players think about their very personal devices as more than a lens to content or a plane of glass. To break that fourth wall Blackbox tries to celebrate the device as a material as much as possible; it’s more about how it reacts than how it looks. If the game were to paint a more immersive and captivating world it might defy its goal of breaking that plane. I think the aesthetic is almost rebelliously minimalistic in a way to say “this is not the game, the game is out there”. Definitely. I've always been fascinated by the possibilities of our devices—I love showing people their phone can be a scale or stud finder. Q3: What features and functions were most important to you in your design? A: While some challenges require work and discrete action to solve I knew that the best puzzle satisfaction comes from hard-won “ah ha!” moments. It was important to me that challenges be designed to not spoil this moment, be mysterious enough to be satisfying to solve, while not being so obtuse that finding a solution felt like an accident. It doesn’t happen often but the worst feeling is hearing from a player who fruitlessly tried the wrong thing for hours on end because they fixated on a confusing part of a puzzle’s design. I focus a lot of time designing around these moments and the rest generally follows. Once a player has a solution in mind the act of testing it must be a deliberate one. No deliberate solving, no "ah-ha". Q4: Were there any constraints you felt you might have with your design? Embrace it if you can! At first the constraint might be liberating but you learn to love it. It's the real puzzle to crack. Q5: Did you test different designs before starting development? A: Barely. My initial idea for Blackbox had a dozen or so puzzles and zero visuals (imagine just the “home grid” in the game). Every challenge was active at the same time and the lights would partially light up when the player was getting close to a solution—a true Blackbox. I quickly determined this wasn’t very fun. As far as the game and puzzles in general, they go through a lot of iteration in my head before hitting digital or physical paper. Sometimes puzzles don’t make the cut due to technical limitations, sometimes they just aren’t as fun as I had hoped. I try not to release challenges unless I feel really good about them; sometimes they get shelved, often a breakthrough happens after several iterations, other times it never happens. Followup: how did you go about testing and what was your criteria? A: Beta testing has been key to Blackbox’s success. Identifying crashes and confusion is simple enough but learning to read between the lines for unspoken feedback and put “design ego” aside to know when something needs to be reworked can be difficult. I value every piece of feedback highly knowing every observation will likely affect magnitudes more people down the line. I think a lot of what makes Blackbox great isn’t what I come up with but what I’m able to fix and polish. Problems my players experience are almost never their fault, they’re mine. 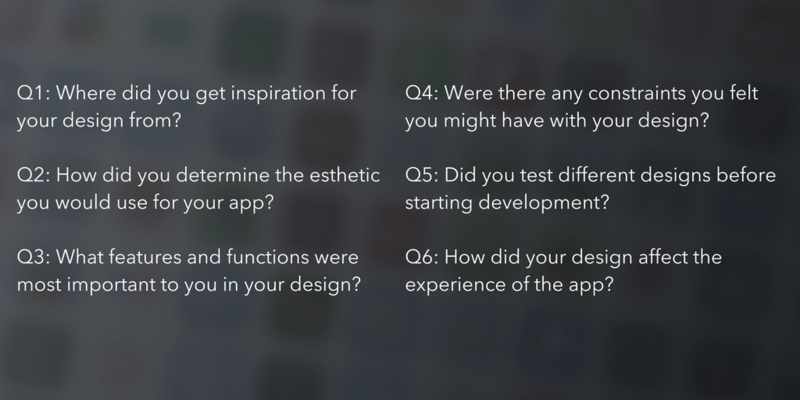 Q6: How did your design affect the experience of the app? A: A majority of the game’s design is completely invisible to most players. To maximize the satisfaction of solving its puzzles the design sinks away and only presents the bare minimum each player needs when they need it. I believe a potentially unhealthy obsession with these little, often unseen details and edge cases are the design details that set the experience of solving Blackbox’s puzzles apart. A: Experience definitely shaped design. I knew what the fission and self-derived satisfaction of solving great puzzles felt like; I knew the frustration of fruitlessly trying the wrong solutions without guidance; I knew the little details and nuance that made for my favorite, most memorable user experiences. I designed backwards from those feelings; I don’t really know how many other forms the design could have taken from there. A huge thanks to Ryan and to all those that were part of today’s discussion! Join us for our weekly Twitter chat every Tuesday at 1pm ET (and bring your friends!). See you all next week where #AFtalks about Mobile Games.